A double-digit pay gap between average men and women's earnings has persisted at the White House throughout President Obama's tenure, aWashington Post analysis of salary data from the White House shows. The average female employee at the White House earns about $78,400, while the average male employee earns about $88,600. That's a gap of 13 percent - the same percentage as 2009, when the average woman made about $72,700 and the average man earned about $82,000. Women tend to hold more junior positions than men, and among White House leadership just 53 female officials make more than $100,000 compared to 87 males who do. 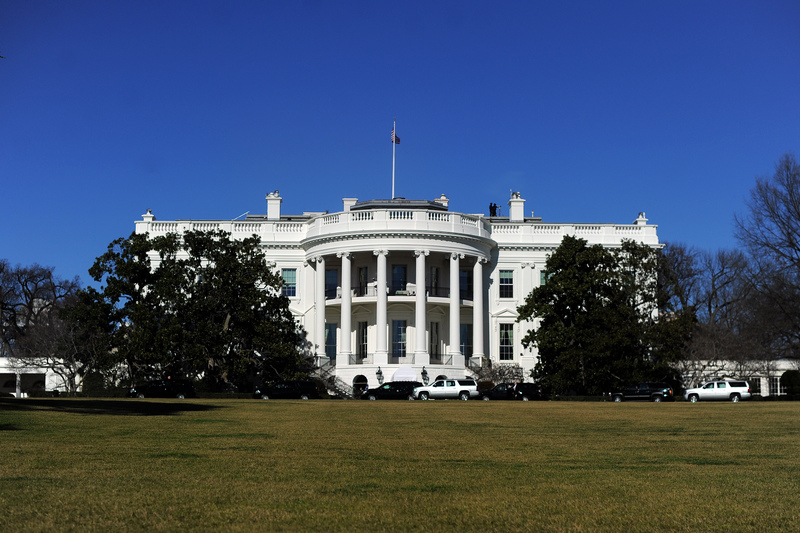 "At the White House, we have equal pay for equal work," said White House spokeswoman Jessica Santillo told the Post. "Men and women in equivalent roles earn equivalent salaries, and over half of our departments are run by women." President Obama has made equal pay a high-priority issue ahead of the 2014 midterm election, so the White House has previously come under fire for the disparity at 1600 Pennsylvania Ave.
A study by the American Enterprise Institute published in February found that female staffers in the White House earn 12 percent less than men, on average, or 88 cents on the dollar. White House Press Secretary Josh Earnest argued that the White House has a "significantly better" record than the private sector, using as an example the fact that senior advisers Dan Pfeiffer and Valerie Jarrett make the same amount. Still, he said, there's more that can be done. "The White House is doing appreciably better than the country is doing more broadly, but we have a lot more work to do," he said.